2016 Update: This place still rules. It’s still cheaper than other top-end Connecticut ice cream joints and it’s still fresh, homemade, and delicious. They also sell beef and maple syrup, as this is a true farmstand. Hoang, Damian and I all love ice cream. No – seriously, we really do. Especially the good stuff. 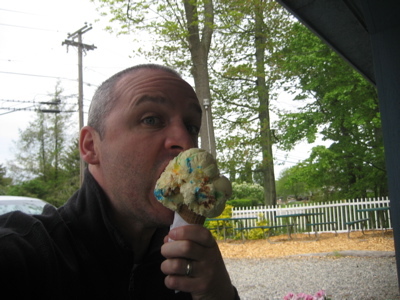 Two things conspired to inspire me to begin blogging on Connecticut’s finest ice cream joints. We were hungry and we picked up a brochure titled “Sundae Drives, Follow the Ice Cream Trail!” Note: This is only for eastern Connecticut. Another offbeat trail for me to complete? Not really, as this appears to be a commercial venture. 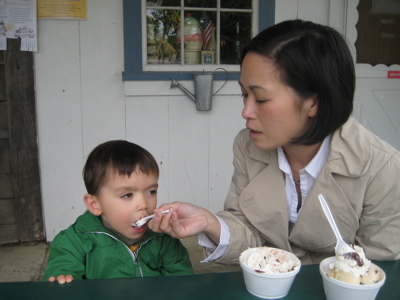 But I’m torn… I mean, who wouldn’t want to complete an Ice Cream Trail? After all, it did make USA Today. There are 35 joints on the “trail” and the brochure is rather nice, even mentioning nearby attractions that make CTMQ proud. The size of the scoops and the wacky flavors. 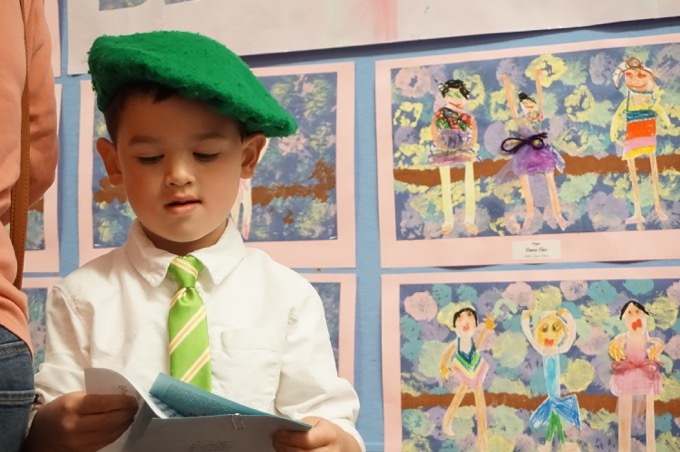 That picture of me here? That’s a SMALL. As in, the SMALLEST size you can order here. We saw one, um, corpulent man get a medium and it was the size of Damian’s leg. And the prices were half of what we pay at Ben & Jerry’s in West Hartford Center. In the quiet corner of Connecticut between Hartford and Providence, busy highways are replaced by two-lane country roads and the space between houses dramatically widens from feet to miles. And if you’re zooming down Route 44 with other things on your mind, you may just miss the small wooden sign instructing you to either turn at the junction of Route 97 or risk missing out on some of the best ice cream in the state. 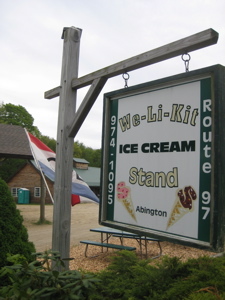 If you feel that ice cream cones are best served through the window of a summertime shack, a pilgrimage to We-Li-Kit in Abington, Connecticut may be in order. This seasonal stand offers several varieties of ice cream, made from milk that has only to travel a few feet from the farm’s milking center. In fact, you can sometimes spot the cows grazing on the other side of the road from your place at the wooden picnic tables! On any given day, We-Li-Kit offers more than a dozen varieties of ice cream, from traditional standbys like chocolate and vanilla to those creative concoctions that give the farm stand its distinctive character. 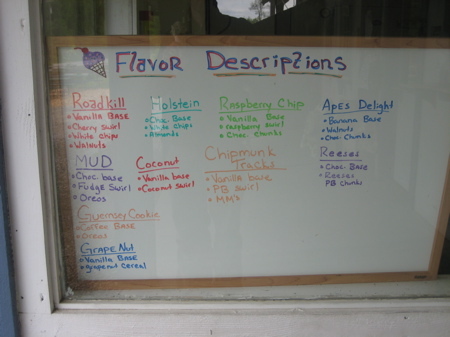 Among the flavors typically in heavy rotation are Ape’s Delight (banana ice cream with chocolate chips and walnuts), Guernsey Cookie (coffee Oreo), Holstein (chocolate with white chocolate chips and almonds), and the top-selling Road Kill (vanilla with cherry swirl, white chocolate chips, and walnuts). But our personal favorite, only available in the fall, is Indian Pudding, the frozen version of an old-timey New England treat. The ice cream is rich and creamy, and can be served up in dense scoops for immediate consumption, or in hand-packed pints or quarts for taking away. Their waffle cones are also a favorite and are often made while you wait. Huge portions, rich and creamy ice cream and creative flavors… Yeah, We-Liked-It. Despite the difficult name. Just couldn’t post a comment on the fiddlehead article. 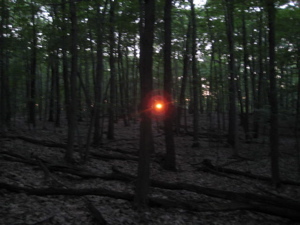 Frankly, it frightened me. Ice cream is much more to my liking. Anyway, and to the point, your new twitter account works great with my reader. No more having to “guess” when you post something new!